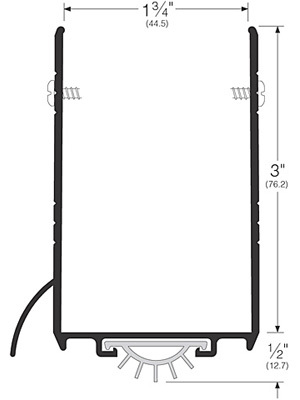 Specialty Doors + Automation automatic door bottoms consist of an aluminum case which surrounds a moveable drop seal. 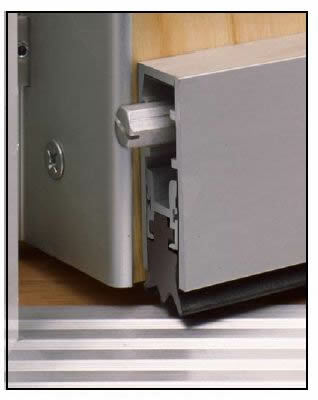 The drop seal is actuated by a plunger which contacts the jamb as the door is closing, forcing the drop seal down against the floor or threshold. Available in sizes ranging from 18" to 72"